Today I’m sharing some simple tips for packing and traveling light. 2. Plan out all your outfits on your bed, by each day. 3. Have one travel outfit that is easily copied with one simple change. 4. Mix & Match – try to maximize layering pieces to re-wear and re-mix. 1. When posing with a growing belly please remember to be safe first and foremost. Keep feet separated, take it slow, and avoid moving or risky poses. 2. Then shift weight on the back leg, and create twist and interest using your shoulders instead of your waist. 3. And never ever do that one cliche pose. See the original CoffeeTalk on Posing too. CoffeeTalk Vlog: It’s Been So Darn Long! I know it’s been forever *not really, but I’m exaggerating for dramatic effect* since I last vlogged. Here’s why that is. And a moment to thank you all as well for everything you’ve done. 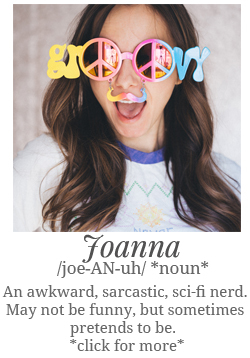 Links mentioned: Instagram and my official Joanna Haughton Site, and Acting Blog. Plus, the feature film I’m producing, Synchronicity. I was going to vlog like usual. But then this happened, and well, some things I just can’t describe to you. I have to show you. Coffee Talk: You’re The Best! I just wanted to take one moment to say that you guys are the best community a girl could have. Chelsea asks, How do you take fashion post pictures in public? Well, the short answer is you just kind of go ahead and do it. The long answer is, you just go ahead and do it, with these things in mind. No Shame – it helps a lot to just not care. These Are My Peeps? – everyone in my neighborhood is nuts, so what’s one lady taking pictures of herself? A few of you have already written in with some questions for “Ask Me Anything.” Thanks so much for that. I really enjoy getting your questions. Today I start answering them, and the first question comes from Chelsea over at Sunny With A Chance of Sprinkles. Here goes! Q: What lead you to the decision to keep your daughter out of your blog and to not use her face in pictures? Special guest star Adam Ward talks about how he gets ready for a first date, and the various things that he hates in fashion. Plus, how to accessorize a set of crutches *Otherwise known as: the death of style* Also, if you’re in Toronto, check out Adam’s show on April 6th.